Welcome and ‘Bienvenue‘ to the website of Cool Camping ‘Au Bois Joli’ **** , which means ‘In the Happy Woods’. The campsite got this name because it is situated on a (former) stretch of wood with many different types of trees, which produces a colorful and happy green sight. Tranquility, nature and the environment have high priority for us. The campsite is situated in the middle of nature, with nice views over the valley and a sense of calm around you. It’s a place where you’re woken up by the singing birds ! 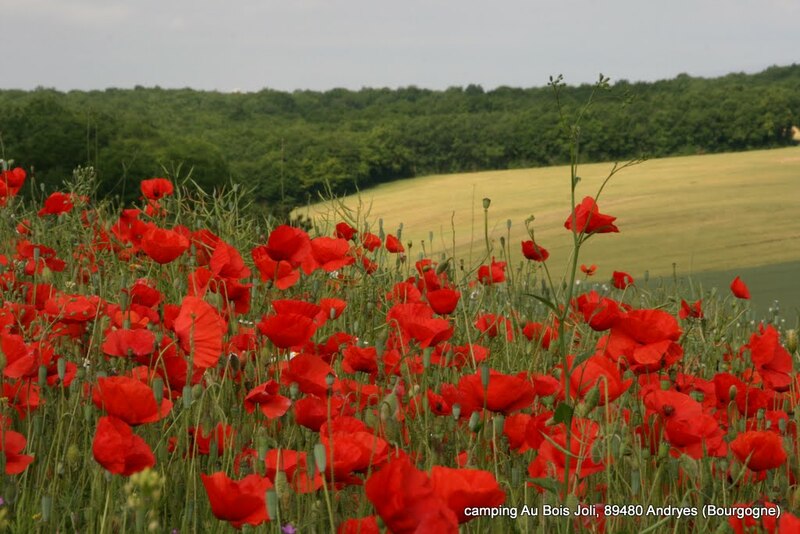 The campsite is very suitable for nature lovers and peace seekers, but also families with children would like the site. During the high season, we do our best to find and keep the balance between vivacity and tranquility, between activity and relaxation. Are you really interested in calmness and quietude? We’ll advise you to avoid the months of July and August, and to enjoy your holidays during the off-season. You are most welcome on ‘Au Bois Joli’. Every year we are there for you from April 1st up to October 1st in the quietness and spaciousness of the campingsite and of Burgundy. Our site mesures 4.5 ha, with 89 pitches and 11 rentals. You can arrive on the campsite every day between 9.00 a.m and 9.00 p.m. During the (high) season your pitch is available from 2.00 p.m.
You can find us in various camping site guides and in different internet camping site guides and in the famous English book ‘Cool Camping France’. In 2017 we are open to the first of November. In 2018 we are open from March, 30 to October, 1. During the off season of 2017 and 2018 you’re welcome to bring your ACSI-card. 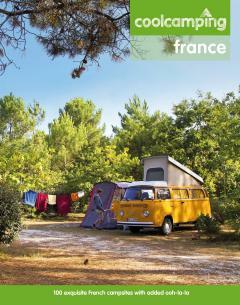 Since september 2012 we’re member of the groupe nature- and family campsites Sites et Paysages in France.